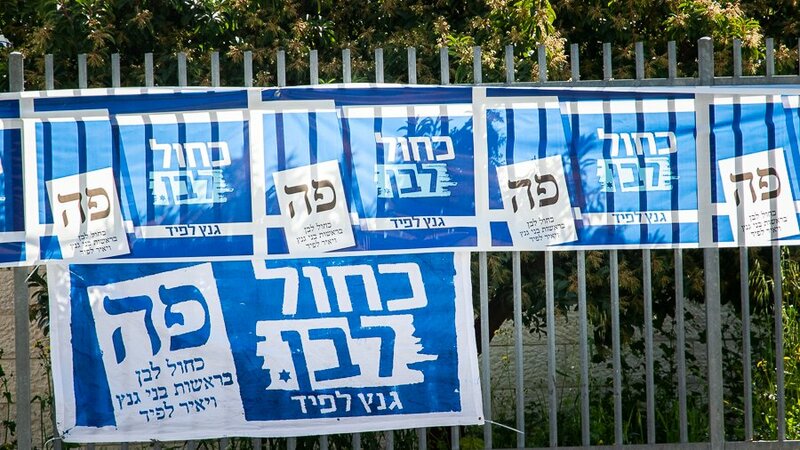 A ground level view of Israel’s 2019 spring election. Marcia and I voted in the Israeli elections today. 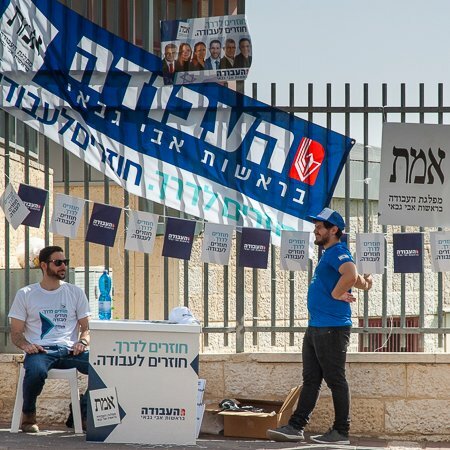 After eight years in the Land, it’s become a familiar process; extreme left- and right-wing Israelis join their more numerous centrist fellow citizens at a nearby elementary school, show identification (a bizarre Israeli requirement) then…vote. It’s always uplifting and a bit surprising to vote here. Spring has finally hit Jerusalem. The unusually cold and rainy weather that has both blessed and plagued the city this winter seems to have passed, making the short walk to the polls much more pleasant than recent outings. As has been our experience, it took only minutes to vote. After a short wait in line outside the voting room—it’s said that lines don’t exist here but I have seen several—we entered and found, in the middle of the small room, a “voting booth,” a folded cardboard privacy screen sitting atop a small, square table, like the displays we see in the States at science fairs. At the head of the room sat a handful of officials. Inside the booth lay an open, compartmented box filled with paper chits designating the parties, not candidates, running for office. To vote, one simply places a single chit in the envelope, steps back to the officials’ table and, as the officials observe, drops the envelope into a big slotted box. That’s it. Over forty parties vied for votes in this election. Only about thirteen are expected to gain enough votes to earn seats in the Knesset. No party is expected to gain the necessary minimum votes to form a government on its own, so there will likely be lots of suspense, bargaining and compromise before a government is formed. In theory, this can be good. In practice, it’s usually messy and disappointing. Given the cloud hanging over current Prime Minister Benjamin Netanyahu’s political and personal future, many Israelis feel that, no matter the outcome of the election, the government that is formed—if one is formed—is not likely to last long. There is, as always, a lot hanging on the results of this election, perhaps even more than usual given the well-known looming existential, economic, political and social hurdles now facing the nation. The only certainty seems to be that it’s useless to worry, much better to take hope from the remarkably peaceful, friendly and confident faces of our neighbors at the polls who believe, as do we, that Someone much greater than ourselves is shaping Israel’s future. We have been praying for your election. Hey, Cliff, good to hear democracy still functions in the Land. Best to you and Marcia.